The parish of Aldershot (sometimes formerly spelt Aldershott) and Bentley was incorporated under Gilbert's Act of 1782 which allowed it greater control over its management of poor relief, including the power to set up a workhouse for the elderly and infirm and children. The building that it used as a workhouse dated from 1629 and was the home of Sir Richard Tichbourne. Precisely when it became a workhouse is uncertain, although it is shown as such on a map of 1816. The building was enlarged in 1838-40. 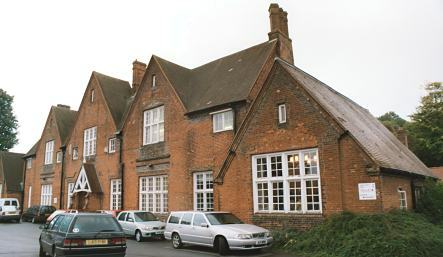 Aldershot main building from the south-east, 2001. Aldershot main building from the east, 2001. The building is now used as a community centre for military personnel.